Known as the last great Colorado ski town, Crested Butte beckons skiers of all ages and abilities every winter. Nearby Crested Butte Mountain Resort is well known for it’s challenging terrain, bowl skiing and off-the-beaten-path Nordic routes. But Crested Butted is more than just your average resort town — it’s a tight knit community of down-to-Earth residents. In fact, you’ll be hard pressed to compare it to those high-end swanky Colorado resorts that just ooze A-list Hollywood celebrities. And that’s really the charm of it all. Couple that with a top-rated adaptive skiing program, and a recently renovated accessible inn just steps from the slopes, and you have all the ingredients for and exhilarating and accessible ski getaway. Headquartered at Crested Butte Mountain Resort, the Adaptive Sports Center (970-349-2296, www.adaptivesports.org) has a long history of helping people with disabilities discover the joys and challenges of winter sports. Founded in 1987, this well respected non-profit organization offers adaptive skiing, snowboarding and Nordic programs, to just about anyone who wants to give them a try. The winter programs at the Adaptive Sports Center are affordable too, with a full-day private ski or snowboard lesson, including equipment and a lift ticket, priced at just $190. Reservations made and paid for at least four weeks in advance receive a 10 percent discount. And if you are in need of financial assistance, scholarships are also available. 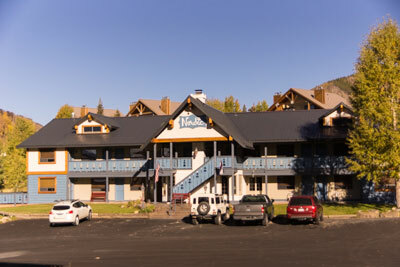 You’ll want to spend several nights in the area, just to get acclimated to the elevation and be well rested for your ski lessons; and to that end, the Nordic Inn (970-349-5542, www.nordicinncb.com) is the perfect place to hang your parka. This 28-room property is located close to the “mountain” in Mt. Crested Butte, and owners Kim and Ken Stone went the extra mile to make sure that accessibility was included in their recent renovations. In fact, they consulted with the experts at the Adaptive Sports Center, after they purchased the lodge in 2012, to make sure they didn’t miss anything. 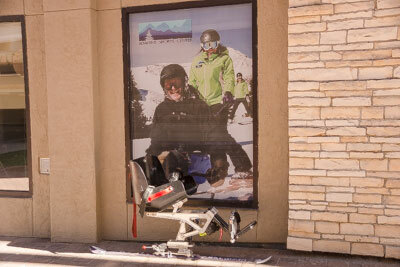 And the result is a very accessible and comfortable ski chalet. The two accessible rooms (114 and 115) are located near the ramped north entrance, just steps around the corner from the lobby and dining area. Access features include wide doorways, wood floors, wheelchair access to the beds, and extra wide pocket doors to the bathrooms. 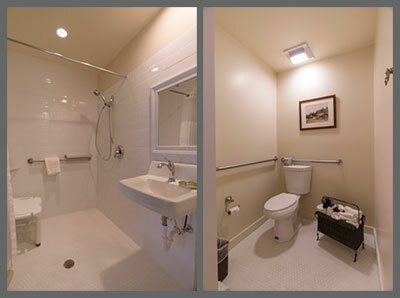 Both bathrooms are outfitted with a roll-in shower with grab bars and a hand-held showerhead; and a toilet with grab bars on the back and right walls (as seated). Other access features include a roll-under sink and a portable shower chair. Room 114 is furnished with a king-sized bed (that can be converted to two twins), and Room 115 has two queen-sized beds. 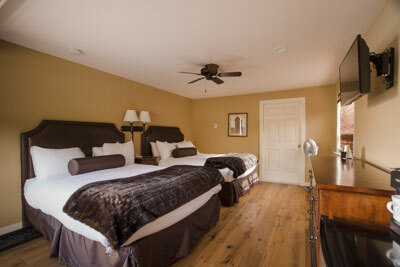 Both beds are 29-inches high, and because of the furnishings and configuration, Room 115 is the larger of the two rooms. Even the small things — like accessible make-up and shaving mirrors — weren’t overlooked. Once again, that’s evidence that the Stones did their homework. A hearty continental breakfast is served each morning in the dining room, and the lobby is a pleasant place to linger after a long day on the slopes. The Crested Butte Mountain Resort free electric shuttle (which transports guests to the resort) stops right outside the accessible rooms. Although you’ll have to transfer to a seat, the driver will be happy to stow your wheelchair. And if you’d like to go down and explore the “village”, The Mountain Express (970-349-7312 , www.mtnexp.org) departs from Mountaineer Square, just a short walk from the lodge. The bus is free, and it makes several stops in Crested Butte. Best of all, all Mountain Express busses are wheelchair-accessible. Save some time to explore the village of Crested Butte while you are in town. The best place to begin is a the Visitors Center, located on the corner of Elk and 6th Streets. There’s accessible parking near the building, with ramped access up to the entrance. Inside, there’s a bevy of maps and brochures, as well as volunteers who can point you in the right direction. As an added bonus, the volunteers are also well versed in the access of the area. The Crested Butte Mountain Heritage Museum (970-349-1880, www.crestedbuttemuseum.com), which is located just a few blocks from the Visitors Center, is also a must-see. It’s best to just walk up the street, as the sidewalks are wide and level, and accessible parking in the village is in short supply. 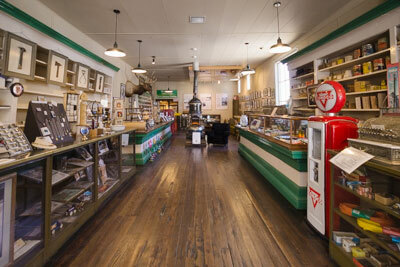 Located in the old Crested Butte Hardware Store, the museum offers a good overview of Crested Butte’s history, and its transition from a mining town to a premiere ski resort. Although there is a one-inch threshold at the entrance of this historic building, it’s easy to bump over it with a little help. Additionally, the double doors can be opened to accommodate wheelchairs and other assistive devices. Be sure and pick up a free walking tour map and brochure while you at the museum. 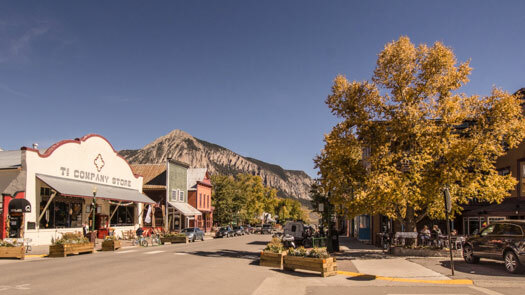 This historic walking tour, which is the result of a partnership between the Crested Butte Mountain Heritage Museum, the town of Crested Butte and the Gunnison-Crested Butte Tourism Association, highlights 42 buildings throughout the village. You can follow the map or scan the QVC code on the flyer to take this free tour. Since most of the historic buildings have a step or two, seeing them from the outside is the most accessible way to enjoy them You can do the tour at your own pace, and even stretch it out over several days. It’s the perfect introduction to this historic village, and a great accompaniment to any ski holiday. ‹ New Disney Access Program	› Why Can’t I Stay in My Own Wheelchair When I Fly?